What do you expect upon entering an Italian restaurant in Middleton? Generally, Italian restaurants offer an exciting dining experience. As soon as you set foot inside one, the buzz of activity along with the aroma of herbs, olive oil, and other fresh ingredients will stir up your senses and prepare you for a hearty meal. When you hear the words “Italian restaurants,” pizza and pasta almost immediately come to mind. A good Italian restaurant in Middleton, however, serves more than just those two. Other delicious meals that offer a taste of Italy include risotto, ravioli, and some chicken or fish dishes. Other than having a variety of offerings, an honest-to-goodness Italian restaurant in Middleton prepares sumptuous meals with the food’s nutrition value in mind. Sure, Italian fare is known to be doughy and cheesy. At a good Italian restaurant, Middleton patrons are served with recipes that have healthy ingredients, like eggplant, zucchini, fresh basil, and ripe tomatoes to balance things out. A pasta dish is defined by its sauce, which not only adds a counterpoint flavor but also contributes to its textural and visual appeal. Whether you prefer the classic marinara sauce or a creamy Alfredo, a first-class Italian restaurant in Middleton should be able to satisfy your craving. The staff of a first-rate Italian restaurant in Middleton knows the value of making customers feel at home. From the moment you walk through the door until you pay for your meal, they are warm and welcoming to patrons from all walks of life. An Italian restaurant in Middleton provides ample seating as well as modern amenities so customers can fully enjoy their favorite Italian meals. Whether you’re hanging out with friends or having a romantic date, the finest Italian restaurant in Middleton will make you feel at easeon comfortable dining chairs and tables. Businesses should ensure the safety of their customers. An Italian restaurant in Middleton is no different. The management should have a guarded parking space where you can park your car and remain safe so you can enjoy your meal with peace of mind. 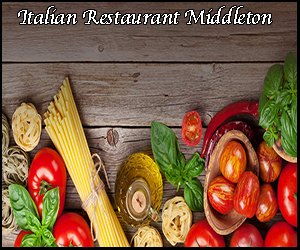 At a secure Italian restaurant, Middleton patrons can dine without worrying about their safety and of their property. If you are looking for a nice and homey Italian restaurant in Middleton that has the above-mentioned qualities, look no further than Benvenuto’s Italian Grill. We are a family-owned Italian restaurant that Middleton customers can visit not just to satisfy their craving for good food but also to spend time with their family. With a menu full of your favorite Italian dishes, we are the type of Italian restaurant in Middleton that has something for everyone. As your go-to Italian restaurant in Middleton, we offer a diverse selection of traditional favorites, including our famous meatballs topped with homemade marinara, baked tetrazzini, our signature Italian salad, and so much more. So, when looking for an Italian restaurant in Middleton, drop by Benvenuto’s Italian Grill. We are more than happy to serve you. Have an unforgettable dining experience at Benvenuto’s Italian Grill. One taste of our delightful Italian dishes will surely leave you wanting more. Click here to learn more about our gift cards. Bring your friends and family over to one of our locations today!